The programme is structured around the activities of early detection of plant invasions, identification and verification of the invasive plants, risk assessment and response planning and, more importantly, immediate response actions. There are relatively few highly knowledgeable, enthusiastic and dedicated experts who are able to ‘spot’ invasive plants amongst the 22 000 indigenous and over 8 000 exotic species already present in the country. Thankfully there are numerous individuals who spend time observing the vegetation they walk and work in and can determine changes in plant communities and identify particularly noticeable plants, if well trained. These individuals are more commonly referred to as “Spotters”. Early detection will make use of both the experts and the observers in order to survey areas that may be subject to invasion. Spotters who are encouraged to support this programme include those with strong local knowledge whether they are school teachers involved in greening programmes, farmers involved in stewardship programmes, Mountain Club members, Botanical Society members or professional botanists engaged in field work. It is sensible to build the initial efforts in early detection around the skills of these knowledgeable experts. 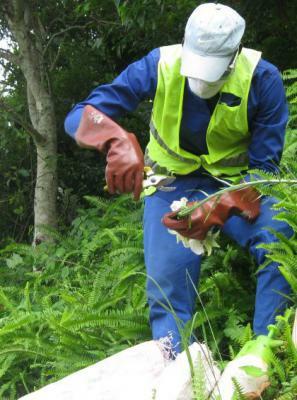 The efforts of both experts and observers are managed by the Invasive Species Programme Regional Co-ordination Units. Plant specimens gathered by the early detection spotters and regional co-ordination units are identified, confirmed and verified by our resident taxonomist. 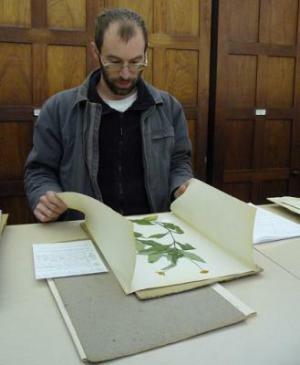 Other taxonomic experts are based at herbaria and universities across the country. SANBI has three herbaria, the National Herbarium in Pretoria, the KwaZulu-Natal Herbarium in Durban and the Compton Herbarium in Cape Town. An Invasive Plant Assessment Panel will be formed with permanent representation of the government departments of Agriculture, Forestry and Fisheries, Water and Environmental Affairs as well as co-opted experts from research institutions to deal with different species as appropriate. It is envisioned that this panel will meet regularly throughout the year and in response to the need for rapid assessment of new incursions. The Invasive Plant Assessment Panel gives a recommended course of action for dealing with a newly detected invasion. The Regional co-ordinator then consults with appropriate representatives of provincial and local government and control experts and compiles a regional eradication, follow up and management plan appropriate to the specific circumstances and invasive alien plant or aquatic weed. The Invasive Species Programme team reports their planned actions to representatives from the national government departments of Agriculture, Forestry and Fisheries and Water and Environmental Affairs. Regional co-ordinators within SANBI, with the assistance of the SANBI National Co-ordination Unit, will provide the necessary information to co-ordinate the work of these rapid response teams.